Car manufacturers are surviving in the industry with the constant effort to bring something new in the country. It might come as a surprise to many that Toyota Motors fathers the luxury brand Lexus. After a lot of toying with the idea, Toyota Motors might bring the Lexus brand to India after all. 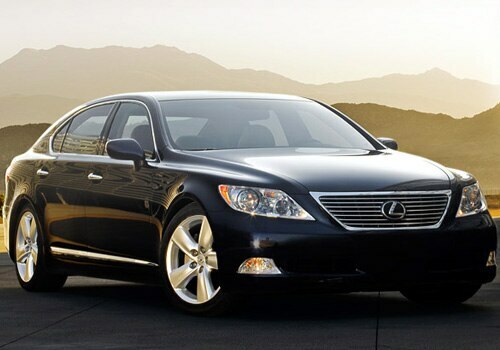 The string of launches will begin with the Lexus LS and Lexus GS models initially slated from 2013 onwards. Speculating the price of the cars a little too farfetched at the moment. Better get ready for the inevitable as the Toyota Lexus price is likely to sit far too high in the luxury car segment, which is what it is. Competing aggressively will be none other than the luxury cars, Mercedes-Benz, Audi and BMW. If a Lexus was ever spotted in the country, it is not because a Lexus model was sold here. It might have been a Lexus fan who has imported the car for his own fancy. This is the first time Lexus is ever going to be introduced in India, while the Japanese luxury marque has been gaining popularity in the other parts of the world. Headquartered in Japan, USA is the first country that has apparently sold a Lexus car ever. Luxury car brands are finding India as the potential market for growth. Lexus brand is not the one likely to offer a diesel line-up in India. Sticking to the good old petrol engine technology and diesel engine overruled, hybrid engines seem to be more closer to reality. Like Volkswagen, Lexus is more into hybrid engine technology and hopes to flourish in the country shouldering the responsibility. Luxury car market might be more heated up than ever before with Lexus joining the German trio, while the threat from Jaguar and Land Rover is still lurking from behind. However, price is one factor which might work in favour of its competitors as most of the Lexus cars will be imported as Completely Built Units (CBU). JLR, Mercedes-Benz, Audi and BMW, who already have their assembly units in the country will have an upper hand over the pricing. However, not very long from now, Toyota might consider individual set up of the assembly plant and the dealerships to maintain Lexus as a separate entity altogether. So, Lexus enthusiasts can hope for a price reduction in near future to have its consumers stick to them.